One of my biggest regrets during my year in Tokyo was never taking the opportunity to travel to other regions of Japan and see what Japanese life was like outside of the biggest city in the world. Never made it to Hokkaido, never even went to Kyoto, and certainly never really went into the countryside. So this trip to Wakayama prefecture, a rural mountainous region at the southern point of Honshu island, was truly a new and exciting experience for me. We flew from Hong Kong to Osaka at the crack of dawn on a very ghetto Air India flight, and from there began our journey south to the Wakayama coastline by train. As Osaka faded into the distance behind us, we began to wind our way through the mountains and along rivers towards Shirahama. 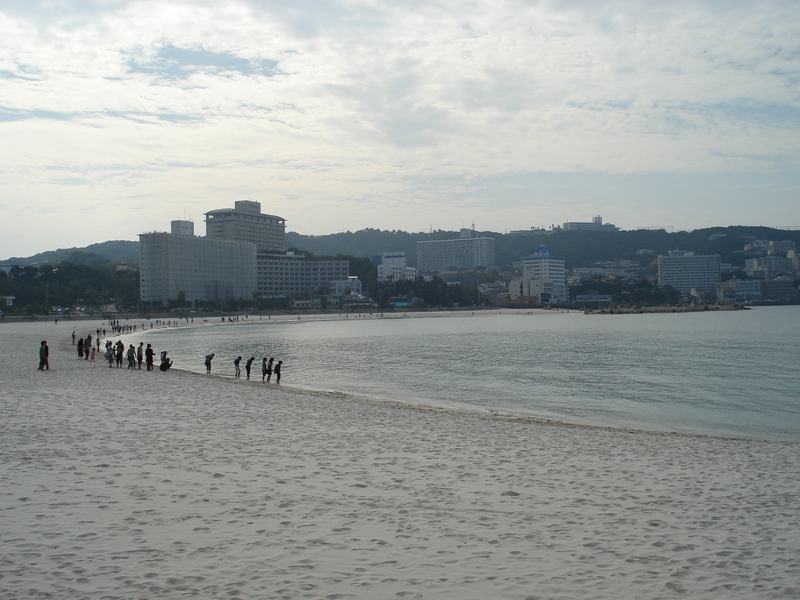 A spa town, Shirahama is famous for clean, blue seas, white beaches, fishing, rock formations, and onsen, or mineral hot springs. We arrived in early afternoon, and checked into our small hotel, the Bay Lily. Nothing fancy, but it was fine. 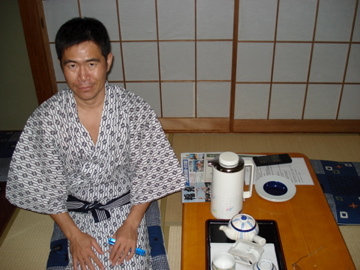 Nice clean rooms, tatami mats, etc. Walking distance into the town and the beach, which was lovely. 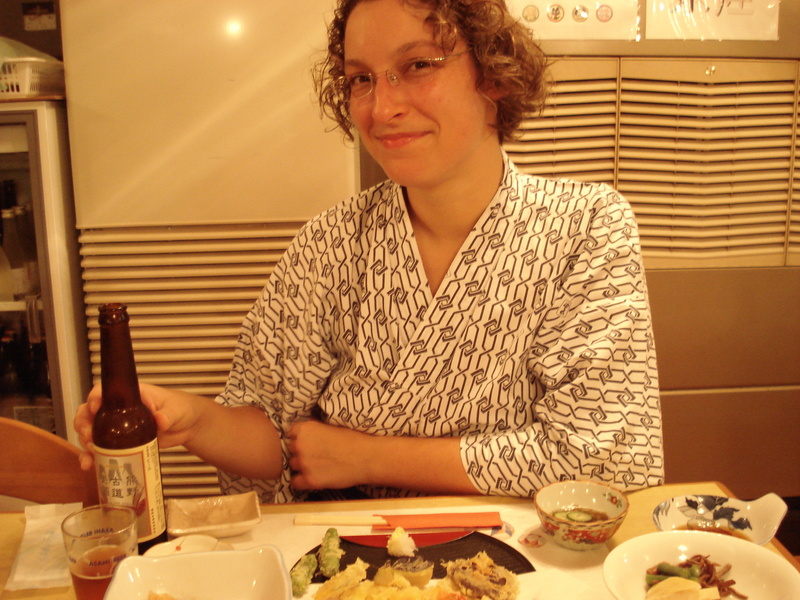 That evening we went to onsen (hot springs) to get a nice, hot soak. Onsen is really wonderful, you feel all your muscles just melt like butter, and you come out with skin as smooth as the day you were born. Men and women have different onsen rooms, since you cannot wear anything into the onsen, so I found myself alone in the hot water. But not for long. A middle aged mother and her teenage daughter came inside, and through the steam saw me. I heard the mother whisper, ‘Gaikokujin desu!‘, which means, ‘Holy %$&#, it’s a foreigner!’ I tried not to laugh. I turned politely and said sweetly with a little bow of my head, ‘Konbanwa’, which means ‘good evening’. They slowly eased their way into the hot water and cautiously began to make some small talk with me. This was a great chance for me to pratice Japanese, and the weekly Japanese class I’ve been going to recently really came in handy. They were very curious about where I was from and what we were doing in Wakayama. 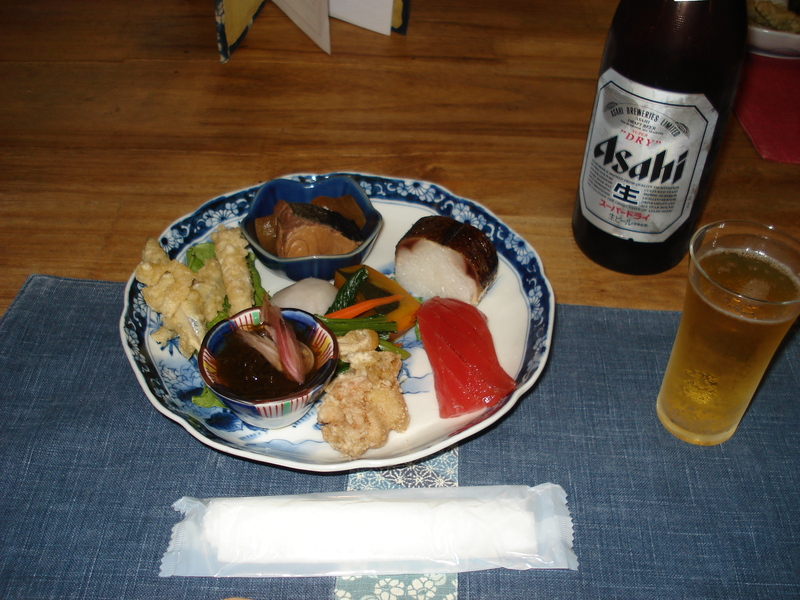 And above all, they were most impressed that I was with a Japanese man — something which is a bit of a rarity in Japan. That night at dinner when we went down to the dining room, instead of being shy or reluctant, instead they gave us a big smile and said hello. 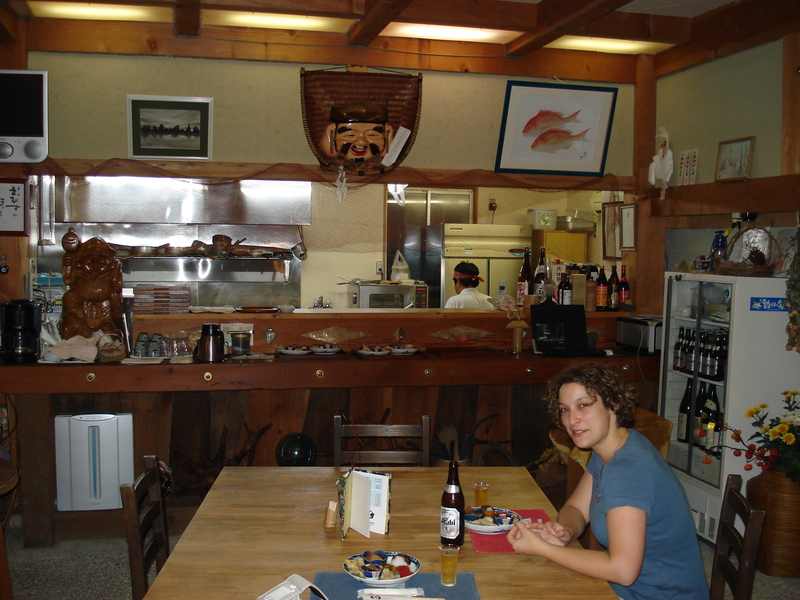 I guess as the lone foreigner in a small town, a little Japanese and a big smile goes a long, long way. On day two, we checked out, donned our backpacks and hopped a train to our next stop – Kushimoto. 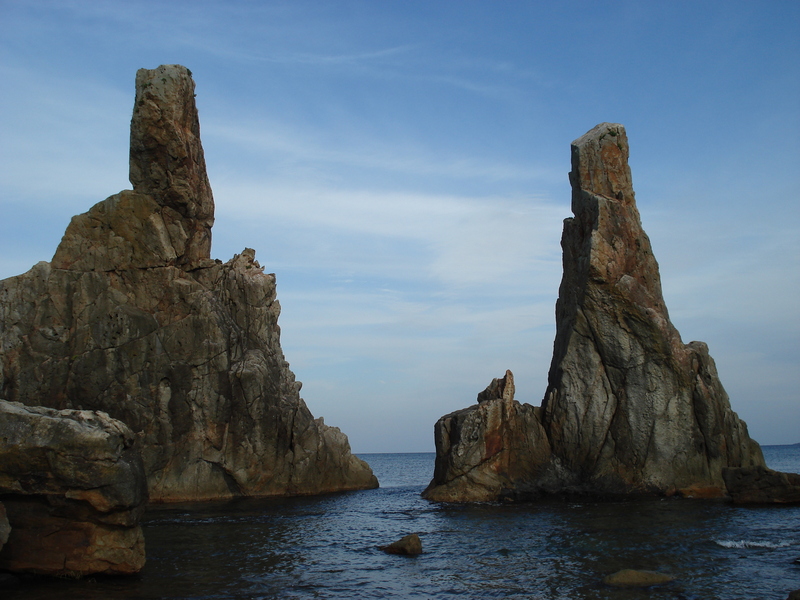 This areas has the distinction of being the most southern point of Honshu island, famous for its rugged cliffs by the sea, and scuba diving. 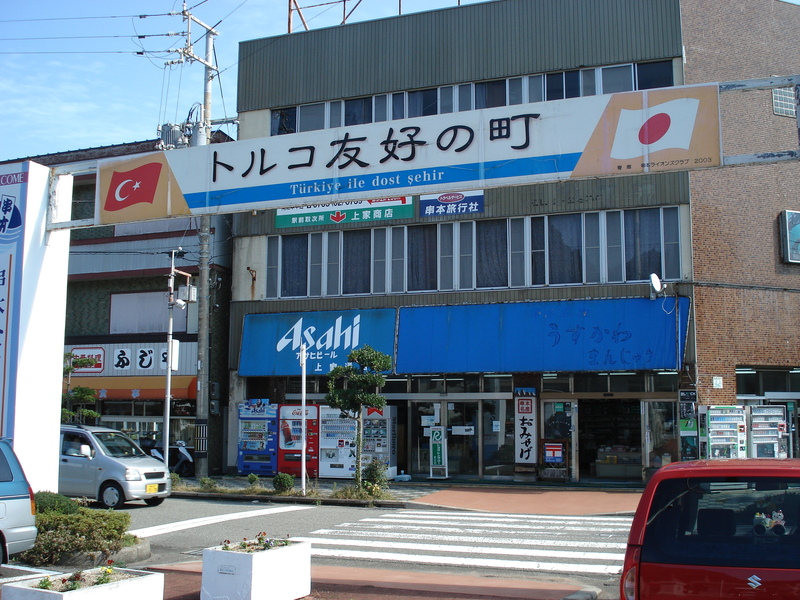 As we got off the train, I spotted a large sign outside the station proudly proclaiming the friendship between Turkey and Japan. The background to this story is really fascinating to me, especially since I’ve lived in both countries. In 1890, a Turkish ship named Ertugrul crashed off of the Kushimoto coast, and the local Japanese towns people came to their rescue, saving whoever they could. They rescued 69 people in total, took them in to their homes, and a Japanese sailing crew eventually took them all the way back to Istanbul. Apparently the Sultan was so grateful for their kindness, it sealed the good relations between the two countries. Almost 100 years later, this act of kindness would be repaid. Japanese civilians in Iran during the Iraq-Iran war found themselves stranded in Tehran, and no Japanese airlines would risk flying in. Turkish Airlines stepped up and came to their rescue, and got more than 200 Japanese out of Tehran and back home. The good relations between Japan and Turkey exist to this day, and in recent years, a team of Turkish and Japanese marine archaeologists have been excavating the shipwreck and recovering pieces of it. During our short stay in Kushimoto, you can still see some Turks who apparently chose to remain in Japan rather than return home after the Ertugrul crash. Having recently picked up diving, I was curious to see the Kushimoto Marine Park. 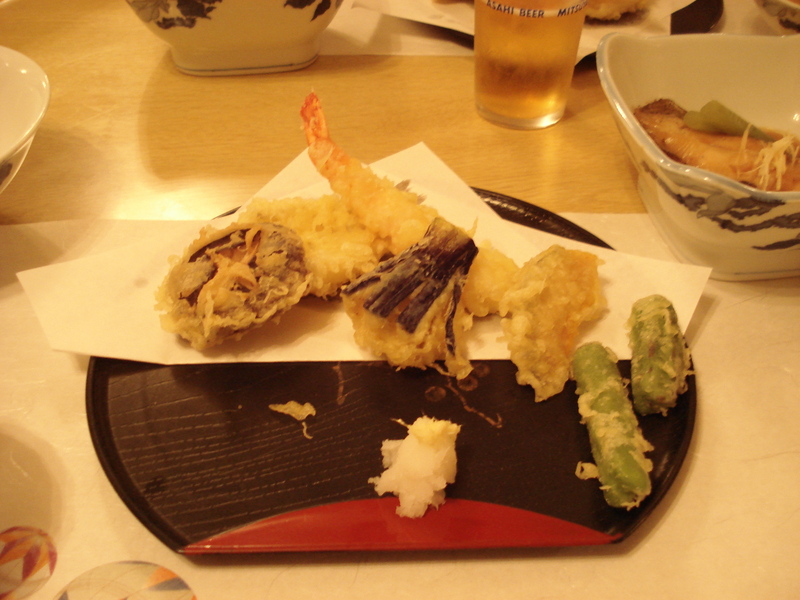 But first, my stomach was peko-peko, which is the Japanese onomatopoeia for empty/hungry, so we went for lunch. The small family-run restaurant we visited was basic, the tiles on the walls were a bit cracked, but the food was amazing. 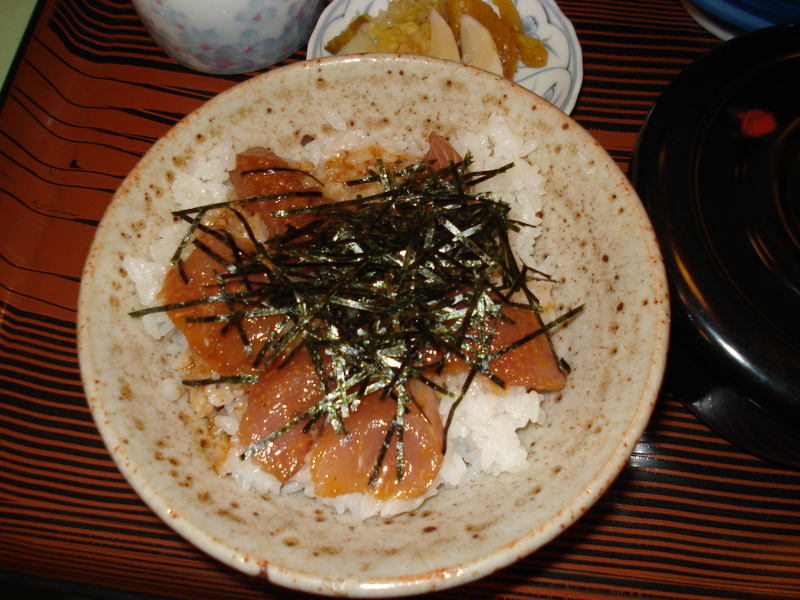 Marinated tuna sashimi, served on a bed of rice, with sliced seaweed on top. So good. 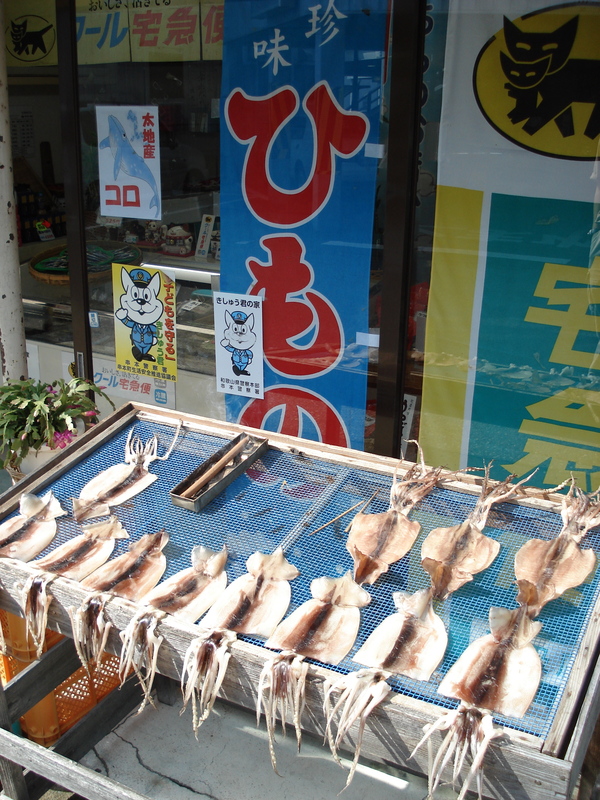 After eating some fish, I was ready to see some fish that I had not yet eaten. At the marine park, we bought a ticket for the glass bottom boat and went to see the undersea world. 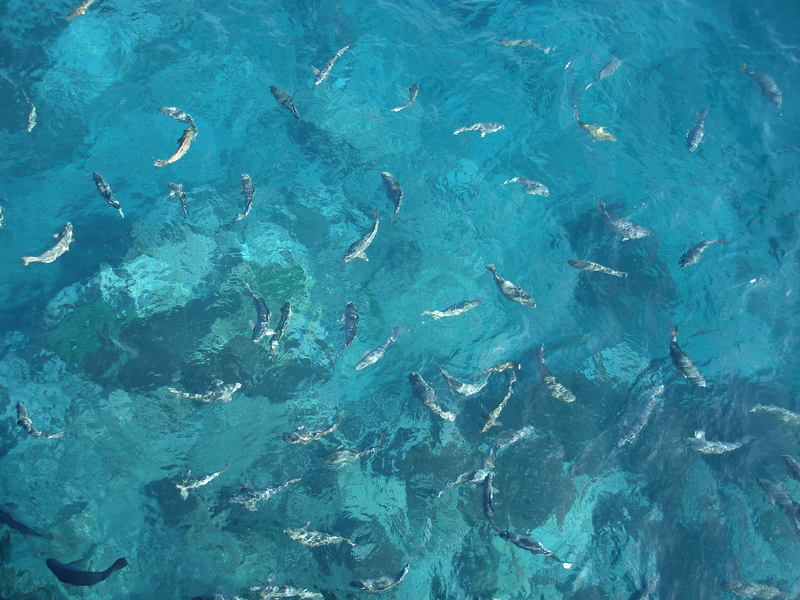 I was surprised to see bright, colourful fish, some of which I’ve seen in the Philippines, and although the corals were not quite as flamboyant as those in Thailand or the Philippines, they were still very much alive and healthy. 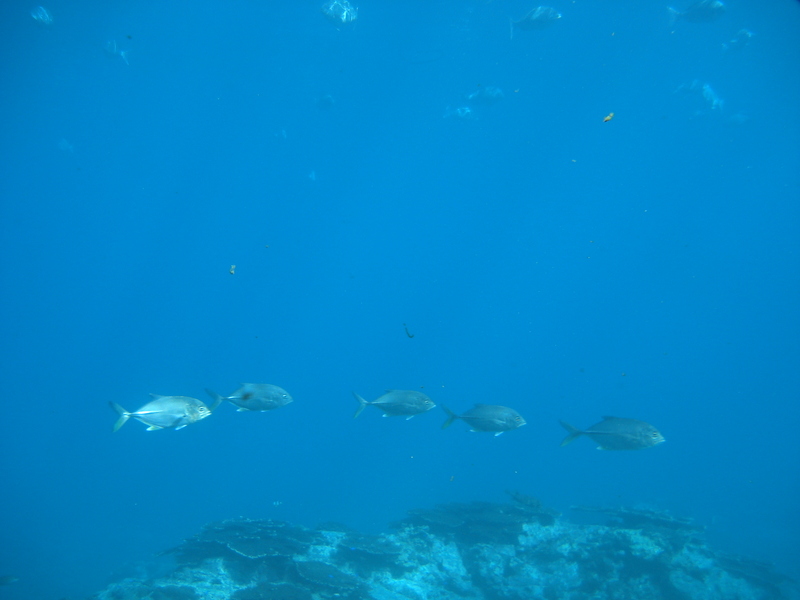 There was even a dive club nearby and they were heading out to sea — but the water looked a bit cold if you ask me! We still had a little time before catching our train, so we went to see some of the local sights, including more strange rock formations of Hashigui, and Shionomisaki, the very bottom of the south coast. It’s amazing how the prefecture has such small towns and almost no big cities. So everywhere you go, things seem to focus on nature — the sea, fishing, mountain climbing, whale watching, and so on. Rural Japanese trains don’t run very often, so if you miss the train it might be a good two or three hours until the next one. 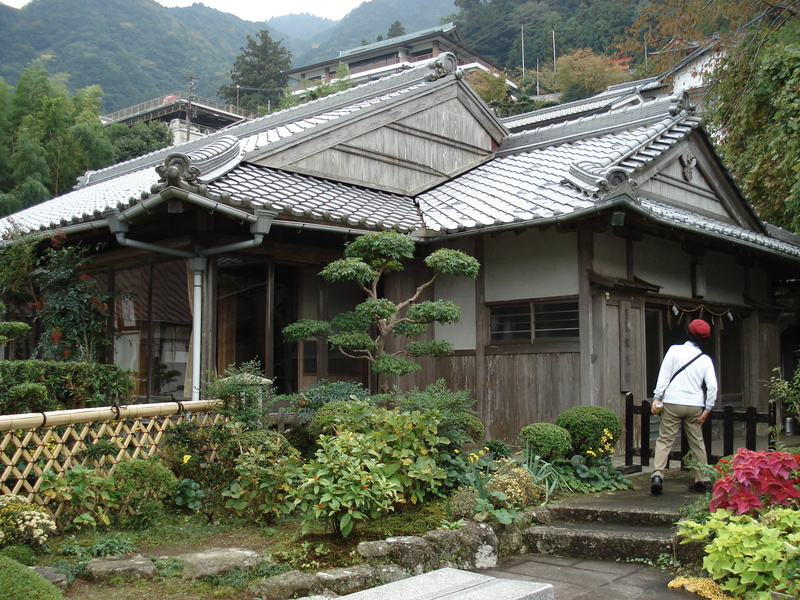 So we said goodbye to Kushimoto and took a local limited express to the tiny town of Wabuka, where we would spend the night in a highly recommended guest house. 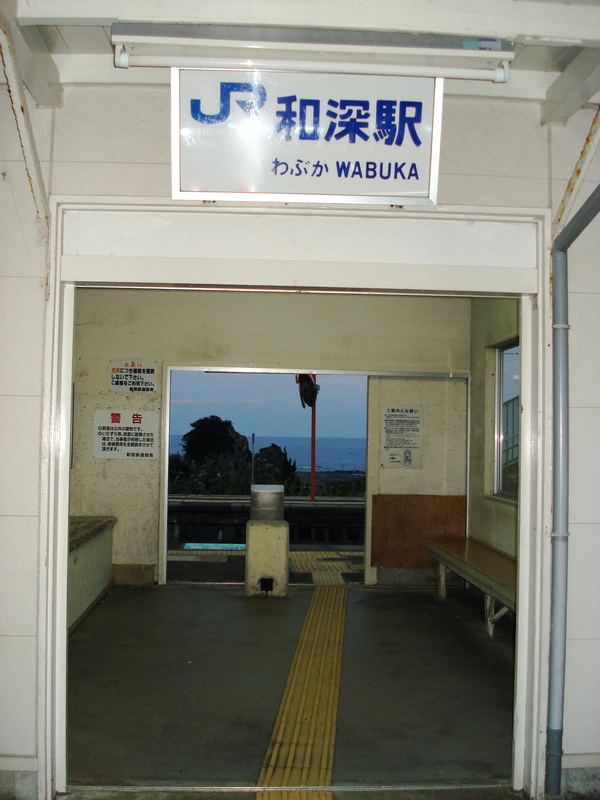 Wabuka station was a mere drop off point — it wasn’t even manned by any staff! This was definitely not your typical bed and breakfast in Japan. The husband and wife owners had bought an old house and fixed it up beautifully. Everything was made of wood and there were lots of glass windows everywhere. They only take three couples and each couple gets their own area of the house, including a very nice living room. And this place had a reputation for giving you insane amounts of delicious food. The owners were very nice, and not surprisingly had never had a guest from Trinidad and Tobago before. After being stuffed like a Christmas goose, we crashed out on the futons, and hibernated until sunrise. Day three began a different part of the journey, as we were meeting up with Seiji’s mom and her friend, Yamaguchi-san, who would join us for three days of pilgrimage. And these ladies did a great job of planning some excellent historic sightseeing. We met them at the train station and headed for our next destination, Katsuura, the starting point for the ancient pilgrims route of Kumano Kodo. What always amazes me in Japan is the old people. They really get around. They ride bikes, they climb mountains, they are active well into their 80’s and even older. The pilgrimage route was all stone and quite mossy, yet you saw old grannies climbing those steps to get to the top. I have a lot of respect for them, and sincerely hope I will be like them when I too am an old obaasan. 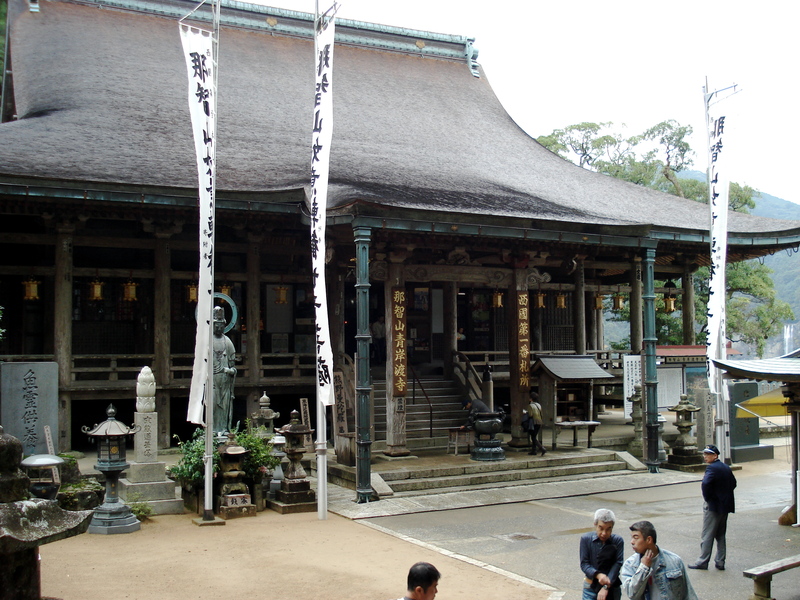 On day four, we again had an action packed agenda, and caught an early morning bus for the city of Hongu to visit the Kumano Hongu Taisha, one of the most sacred shrines in Japan. The bus ride there was amazing. 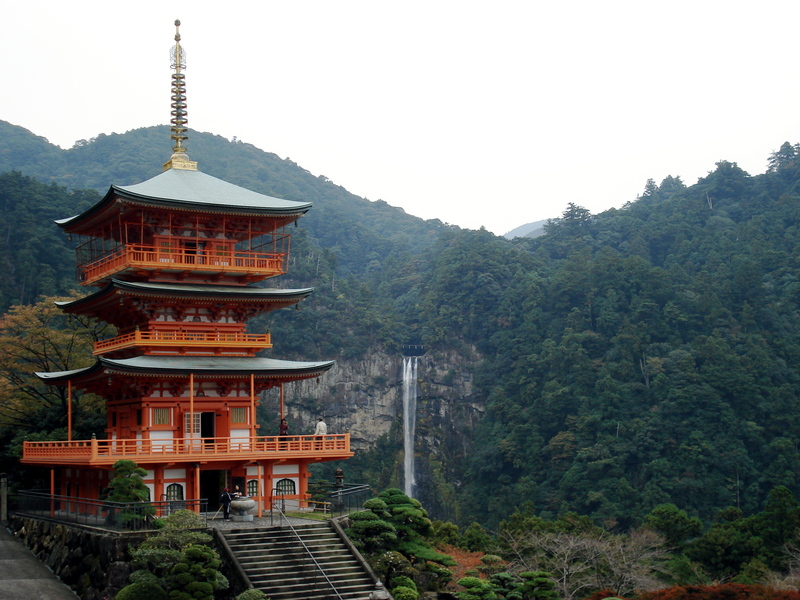 My eyes couldn’t take in enough of the dense pine forests, towering mountains, waterfalls, and the pristine Kumano River. I started to fantasize about buying one of those big old Japanese houses by the river in the woods, and fixing it up into a B&B to guide foreigners around the area. 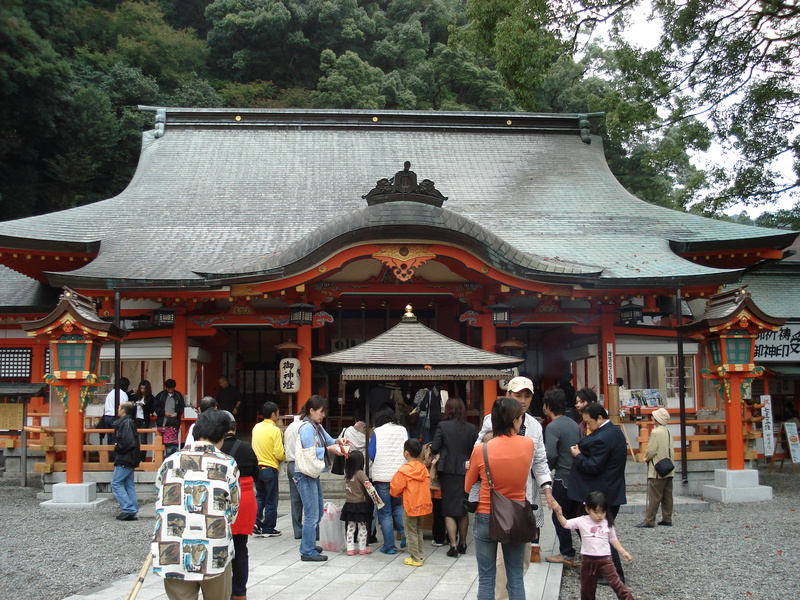 I could just see it now…..
Kumano Hongu Taisha is one of Japan’s many UNESCO World Heritage Sites and a major tourist attraction in the area. Something I like about old shrines in Japan is their minimalism. Generally made of wood and thatch with simple decoration, there is an absence of gaudy golds and greens and yellows and blues and reds. You feel like you’ve stepped back in time, as though you can imagine when pilgrims walked for weeks through the mountains to arrive here. That afternoon we were exhausted and took yet another long bus ride back to Shirahama for our last night. 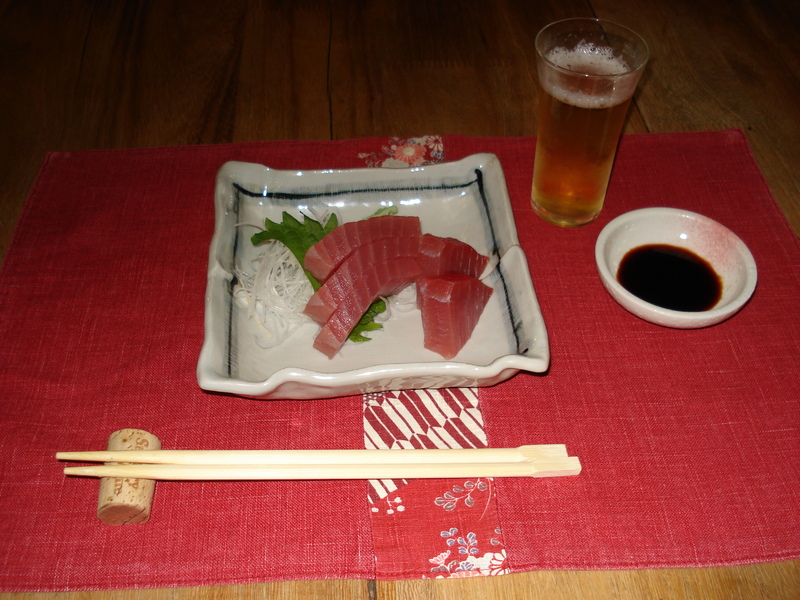 And that night, at the dinner table, I experienced something completely new in Japanese cuisine that was both a little disturbing, but also eye-opening. We sat at the dinner and they had, as usual, a wide variety of little dishes all over the place. One of them was a square, clay sort of mini grill, and they put a hot candle inside the square and you grill the food on top. 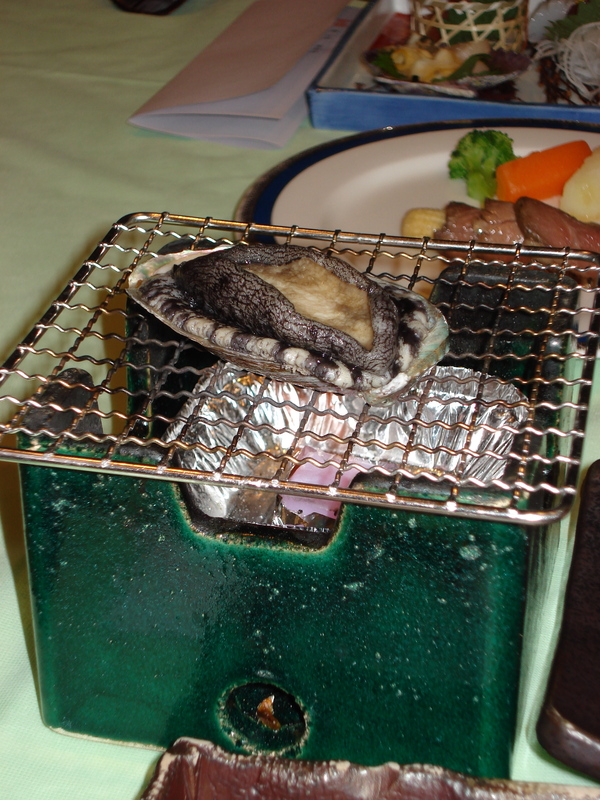 Suddenly, I realised that the huge abalone that was sitting, in its shell, on the grill, was still alive! It started moving and squirming, and I came to the grim realisation that we were going to cook it alive. The waiter came and with a flourish lit the candle. The abalone began to move and writhe even more as its shell heated up. It didn’t take long to die but I have to say the smell of the roasting shell and of the cooking process really raised my eyebrows. Apparently in Japanese this style of cooking is called ‘o-dori gui’, which means ‘dancing festival’. Ha! Gross. This abalone died so that I could eat it, with butter. And salt. We were on our way to Osaka airport by 8.30 the following morning, saying goodbye to Wakayama prefecture and all of its natural wonders (and hot springs). There were so many things we didn’t get to see, even though we did so many things — we went up mountains, under the sea, in the rivers, by waterfalls, we travelled by plane, train, bus, taxi and foot, and all in all ate entirely too much. 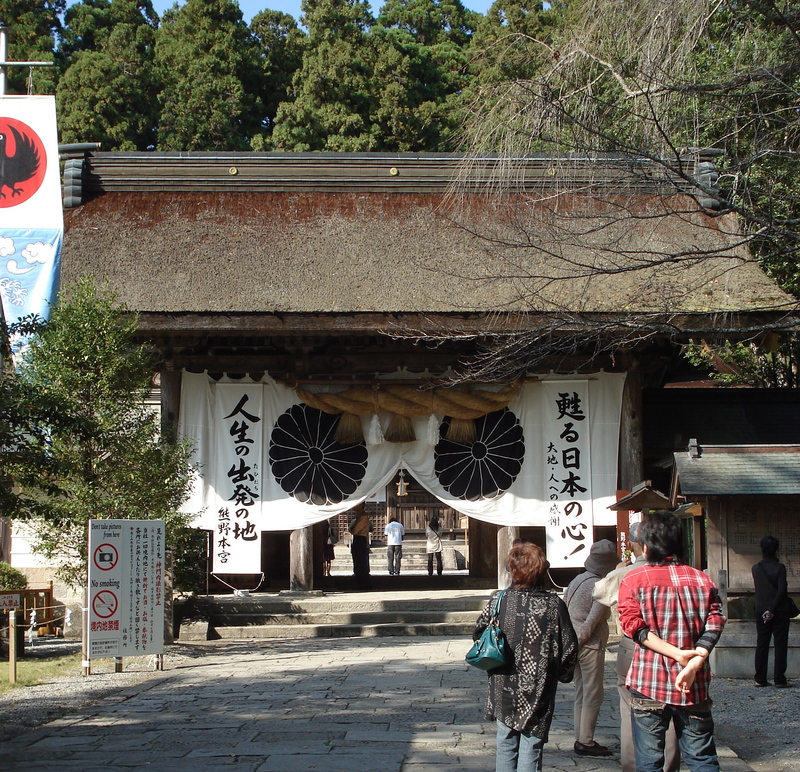 But Wakayama has so many more things to offer. We barely scratched the surface. The countryside in Japan is usually overlooked since people love the madness and excitement of the big cities. 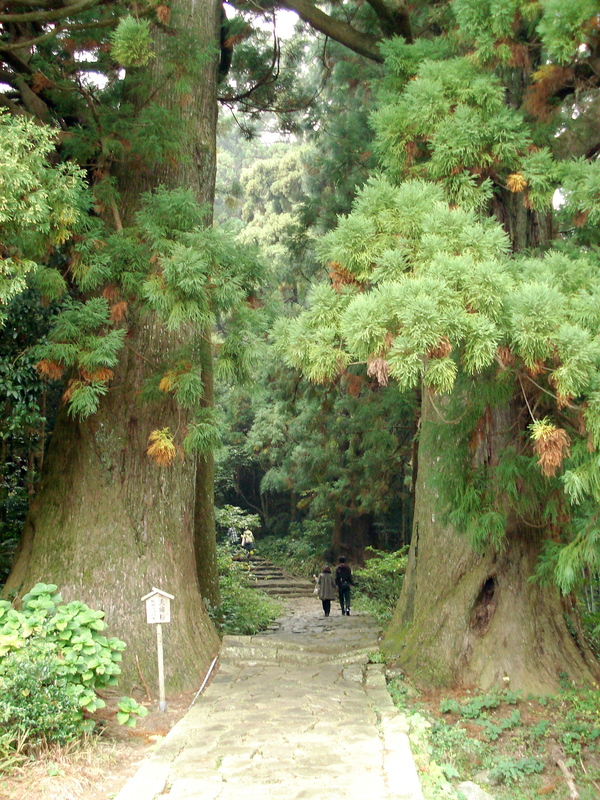 But I think in a prefecture like Wakayama, you could easily spend a few weeks exploring.